Once the soup is done you add it to your whipping siphon and foam it into the bowl. The foaming processes helps lighten the soup and give it a more airy texture than is expected. 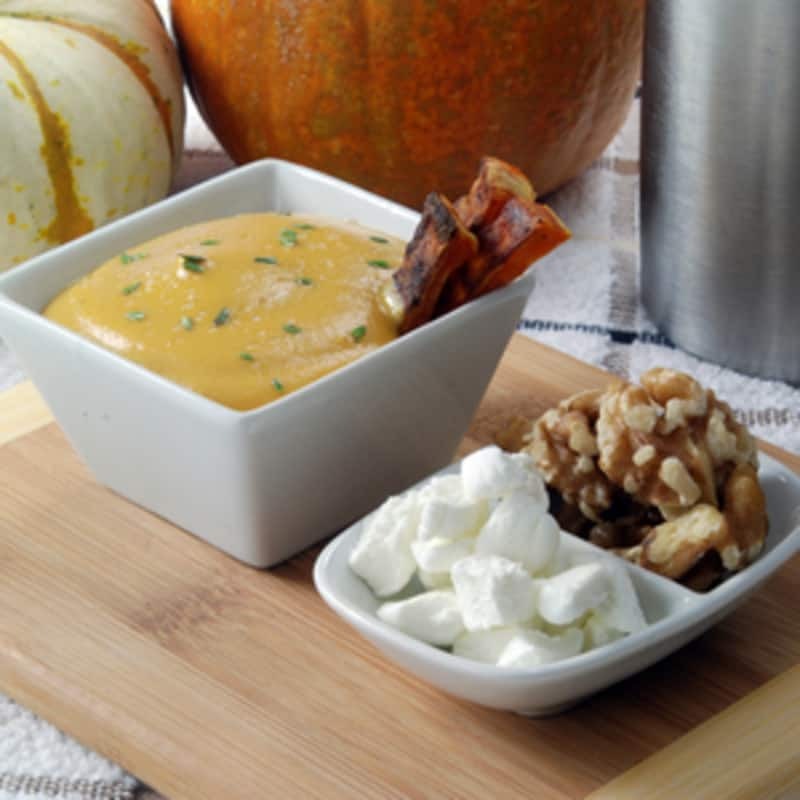 This sweet potato soup foam is also great as a hearty sauce on meats or vegetables. You can even use it as a dip at parties. 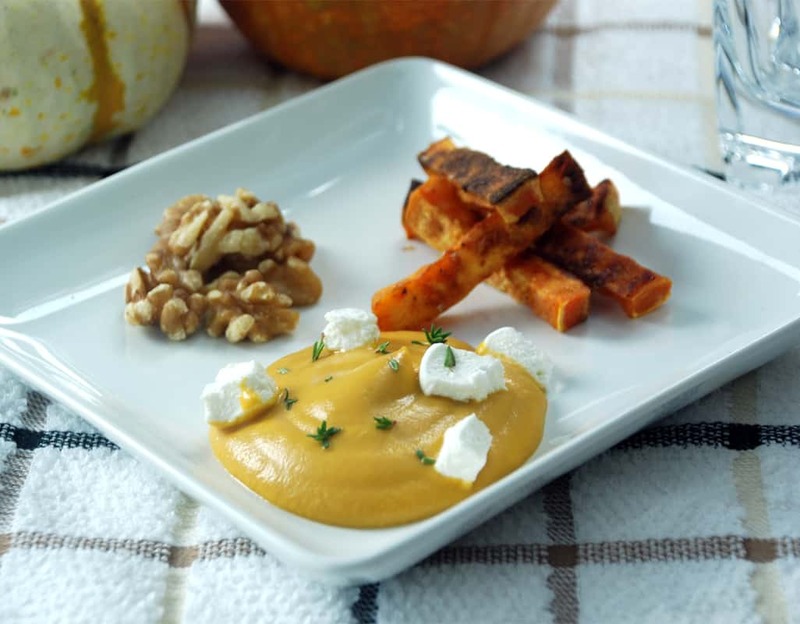 If you would like more information about the modernist techniques, ingredients, and equipment used in the roasted sweet potato soup foam recipe you can check out the following. 1? piece of ginger, peeled and chopped. Preheat an oven to 232°C / 450°F. Toss the sweet potato chunks with canola oil and salt and pepper. Spread out on a sheet pan and roast until the outsides have browned nicely, typically 20 to 30 minutes. Place the roasted sweet potatoes into a pot with the chicken stock, ginger, molasses, and thyme. Cook until the sweet potatoes are very soft and the flavors have melded. Start with 200 grams of stock and add more as needed to keep it moist. Add the honey and cream then puree until very smooth using a blender. Strain through a chinois or cheese cloth if you want a finer texture. 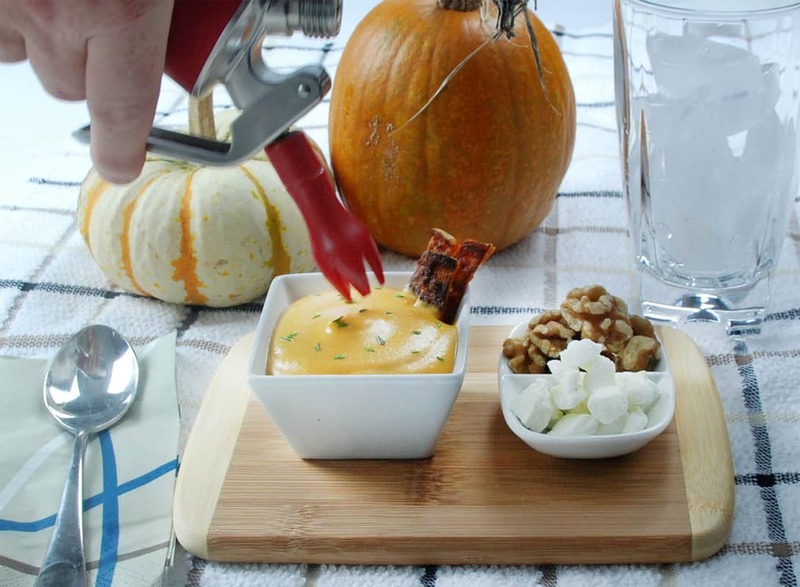 Pour the sweet potato soup into your whipping siphon and charge. If desired, heat the whipper in hot water until it is warm. Dispense the soup into soup bowls or cups. Top the soup with the marshmallows, thyme leaves, and walnuts then finish with a drizzle of molasses. 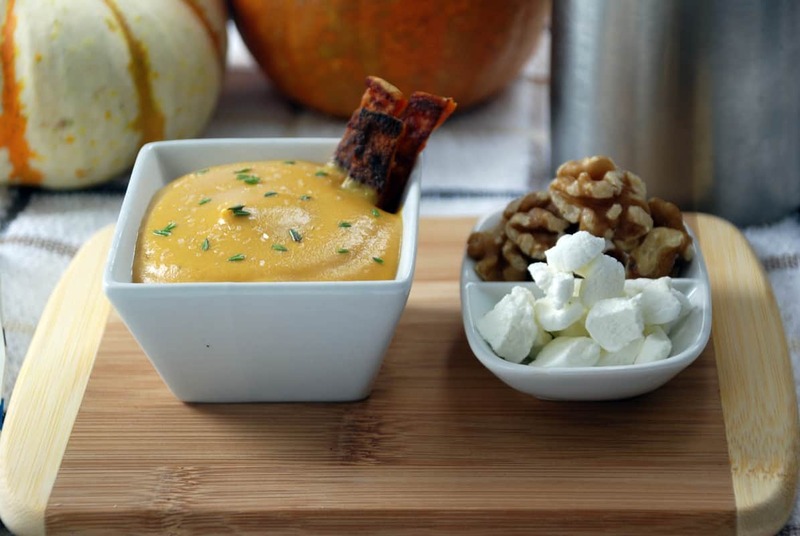 This whipping siphon roasted sweet potato soup foam is also great as a hearty sauce on meats or vegetables. You can even use it as a dip at parties.